Contraception is an important and necessary part of our lives, but finding a perfect match can be difficult. When it comes to contraception, we are more diverse than the options available to us. But that doesn’t mean we can’t strive to find a method that suits us best for each stage of our lives. Most of us have spent more time thinking about our next holiday than we have on reviewing our contraception. Don’t make do with a method that doesn’t meet your needs. Find something that works with your body and where you’re at in your life right now. Take our quiz and find your perfect contraceptive partner. Already have an idea of what kind of birth control method you might want? Then it’s definitely time to explore your options. There’s a lot to consider about each method. Cost, efficacy, duration and more all need to be taken into account when deciding what kind of birth control is going to fit in best with your life. Our contraception method pages have all the facts and figures you need to make an informed decision. Got some curious questions about contraception? We guarantee you’re not the only one. To make it easier to sort the facts from the fiction we’ve put together a list of Frequently Asked Questions about different methods of birth control. What’s the difference between Tubal Ligation and Tubal Occlusion? There are a lot of myths and misconceptions out there when it comes to contraception. To help tackle some of the more ubiquitous ones, we’ve called on Dr Catriona Melville. Dr Melville is one of our resident sexual and reproductive health specialists, and a Fellow of the Royal College of Obstetricians and Gynaecologists UK (FRCOG), so she knows her stuff. Check out her video series, dispelling some of the misinformation about contraception. Contraception is an important part of life, and deciding between all the options available can be difficult. To help you work through the decision making process we’ve put together some conversation guides. Use these to guides to help structure your next conversation with your GP, your partner, or even yourself. 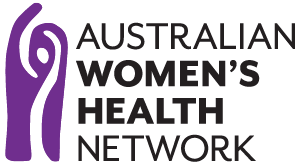 We have tailored resources for doctors and medical professionals interested in contraception and family planning. 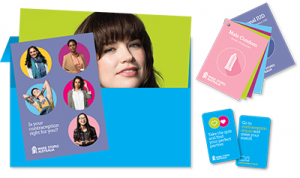 You can download a decision making guide for your patients, order a kit with flipcards, posters and more, for your practice or register for further education and training.